As you know, my summer break from teaching is coming up soon and I am so ready for it! 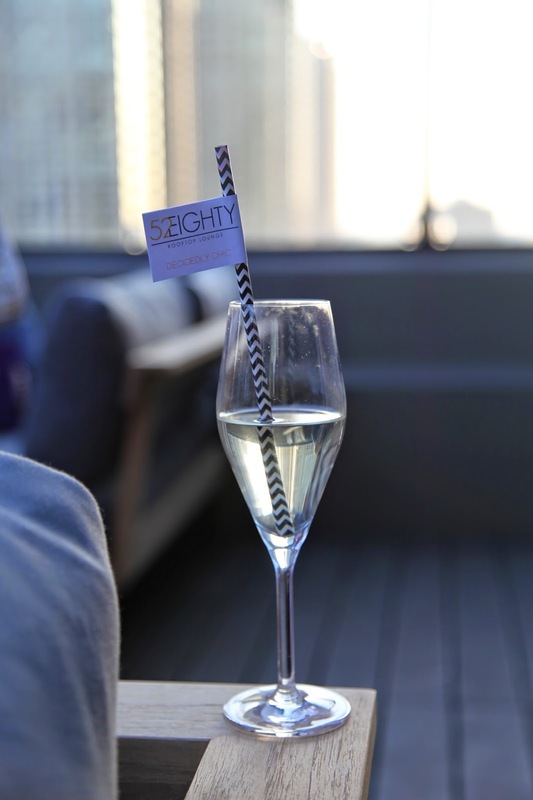 These last few weeks have been especially stressful, so imagine how lovely it was to spend a beautiful evening at the stunning new 52Eighty Lounge, celebrating its opening with a bunch of lovely ladies. The night was great from start to finish. It began with a luxurious makeup application at the gorgeous Burberry store on Michigan Avenue by the talented William Martinez! After getting all glammed up we headed over to the Mile North Hotel up to the 52Eighty Rooftop Lounge where we were greeted by blogger pal and new go-to-gal of this amazing space, Nicole! Shoot her an email if you're interested in stopping by. She will totally take care of you and make you feel so welcome. The weather was perfect and the company was fantastic. I had such a great time chatting, lounging and enjoying the mile-high view at sunset. I can't wait to head over again once the school year is officially over and there is celebrating to be done. Looks like so much fun- I'm jealous!